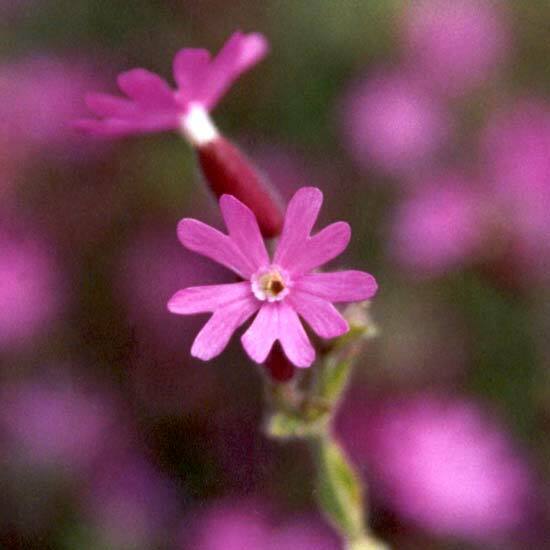 The weedy Campion (Silene) with its pretty flowers looks oh so pretty in a close up photograph. Mind you, I have to admit to having planted it. But is it desirable, or simply a pest? The bright pink flowers add a dash of colour to late spring - this is often a transition time for garden flower displays. Campion's darker flowers look like they've been coloured in with a pink felt pen. I also find plants of white Campion, and all shades in-between. And I find far too many seedlings! It's a very easy and cheap annual to grow - it produces many seedlings which are no problem to pull out or leave be. 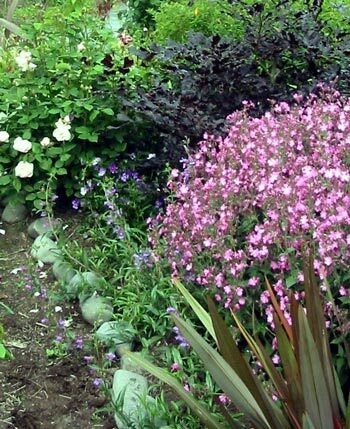 Larger plants can be treated as perennials and divided up in winter to increase stock. It's useful to temporarily fill in space in new gardens, and has the good sense to wither and die very quickly. There are also paler pink and close-to-white varieties you can grow. 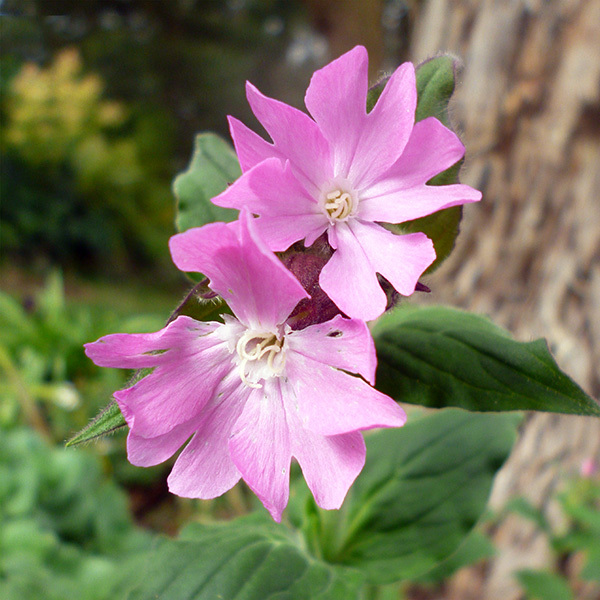 Campion is no aristocrat - indeed many gardeners consider it a good-natured weed, but the patches of pink colour certainly liven up many of my garden borders. My problem is in knowing how tough to get. Which borders should it be allowed to run rampant through, and which borders should it be banned from? Oddly my cats like making nests and sleeping in the Campion clumps - they treat this plant like they do the perennial catmint.